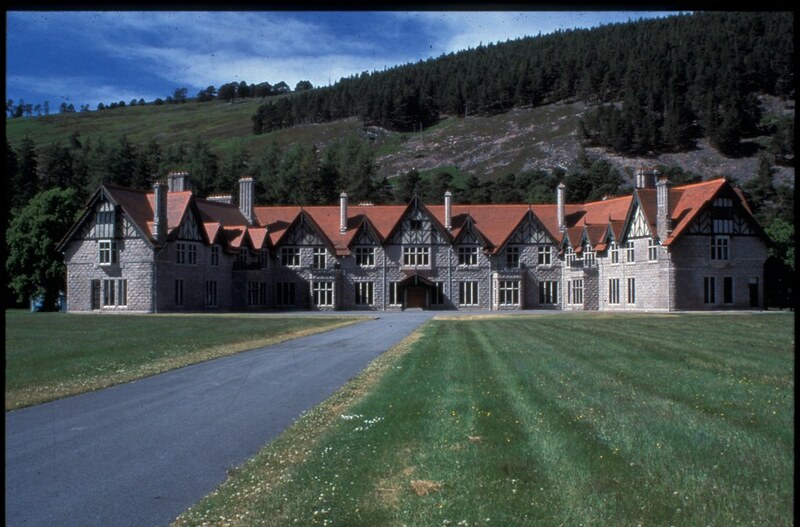 Owned by the National Trust for Scotland since 1995, Mar Lodge Estate occupies nearly 7% of the Cairngorms National Park, covering over 29,000 hectares of the most remote and scenic wild land in Scotland. 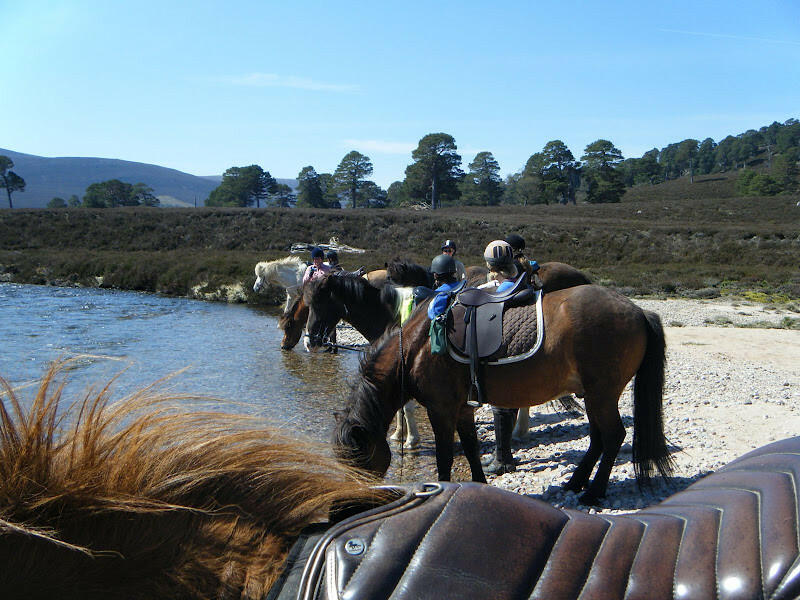 Within its boundaries are classic Highland landscape features: remnants of the ancient Caledonian pine forest, heather moorland, juniper scrub and the Cairngorm plateau which includes four of the five highest mountains in the UK. 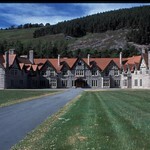 The estate is recognised as one of the most important nature conservation landscapes in the British Isles. Haylage and special feed requirements can be provided on request. 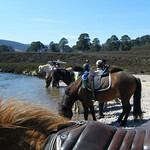 Carriage driving on some estate tracks is available by prior arrangement . 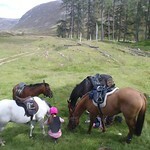 This is an outstanding holiday destination offering a variety of high quality self-catering accommodation for the discerning equestrian tourist encompassing luxurious country cottages (sleeping 8 and 10), principal apartments in Mar Lodge itself (sleeping from 2-17 persons) or, for the more budget conscious, bunk-house accommodation in Base Camp (sleeping combinations of up to 12 persons). 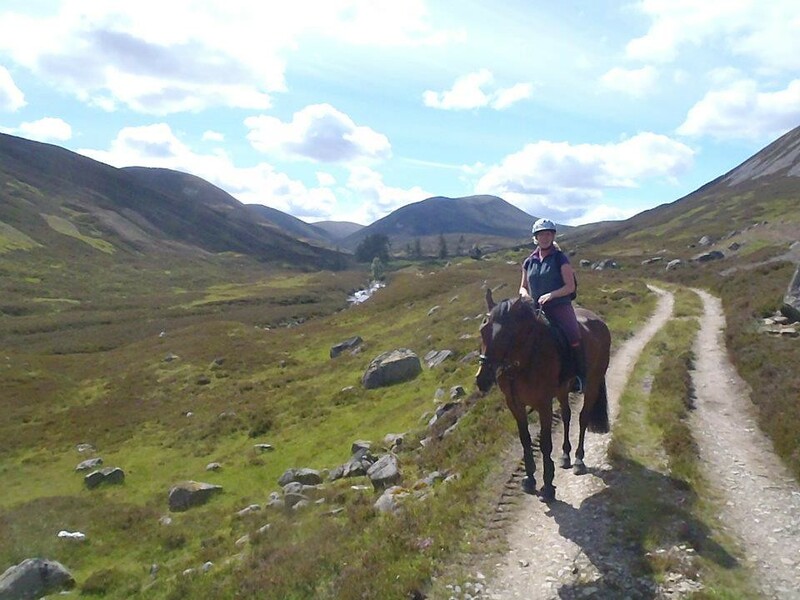 Horses are accommodated within sight of the Lodge and Estate ride/route maps are available on request. 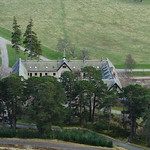 The Estate offers a variety of activities for non riding members of your group (advance notification required) from tours of the Lodge, ranger-led walks to investigate the cultural, historical, ecological and conservational aspects of the Estate, photo-stalking, clay pigeon shooting and a range of field sports. Rods on the River Dee can be booked on a daily basis. Many other outdoor activities are available around Braemar. 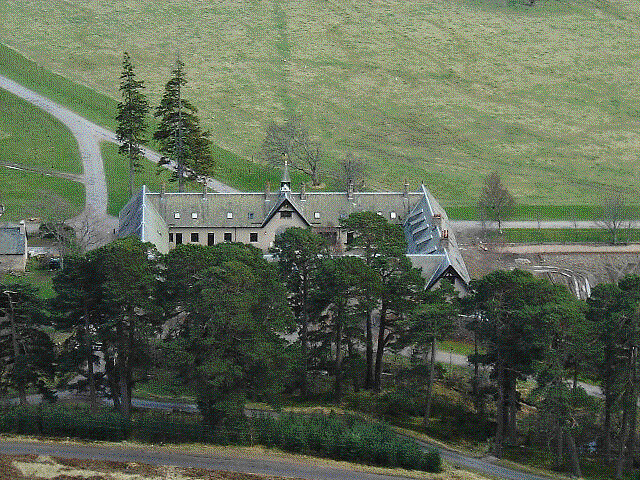 Accessible accommodation with wheelchair access is available within Mar Lodge and Basecamp. 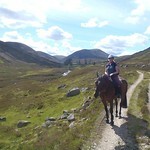 There are miles of off-road riding on Estate and hill tracks for riders and horses of most abilities, including half and one-hour loops around the Lodge grounds and policies for enjoyable leisurely hacks or half-day/full-day rides in Glens Quoich and Lui, (picnic ride to Derry Lodge, anyone?) for those seeking to enjoy the wilderness experience to the full. 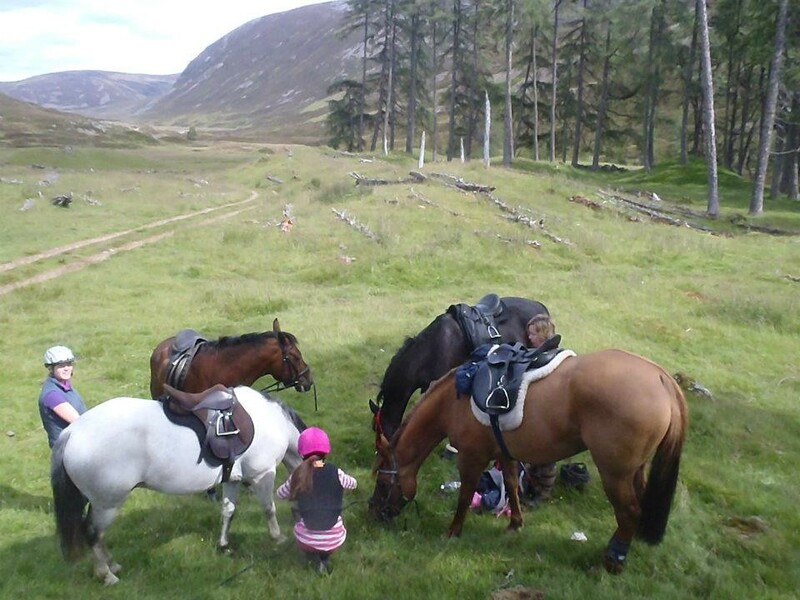 There are also opportunities for camp rides within the Estate boundaries or as part of long distance routes between Mar Lodge Estate and neighbouring Estates. 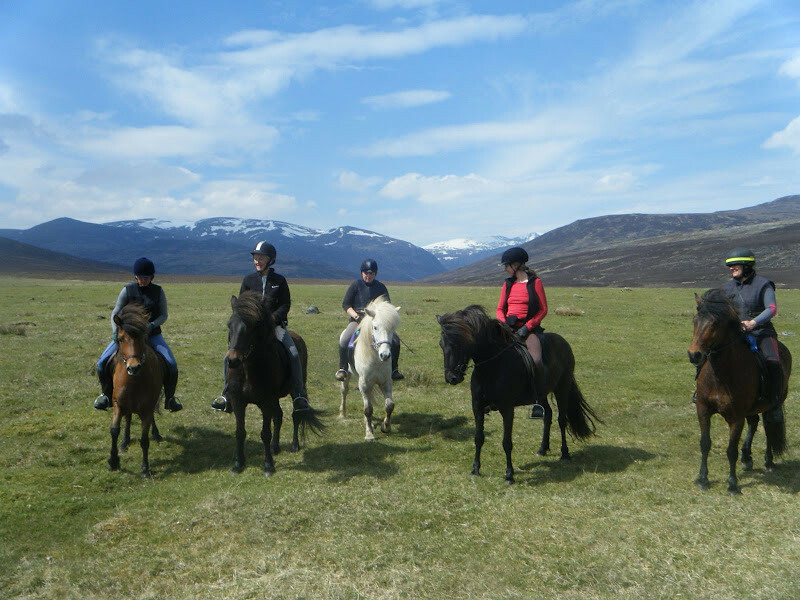 Due to the remoteness of the Estate, all riders and groups must be fully self-sufficient. 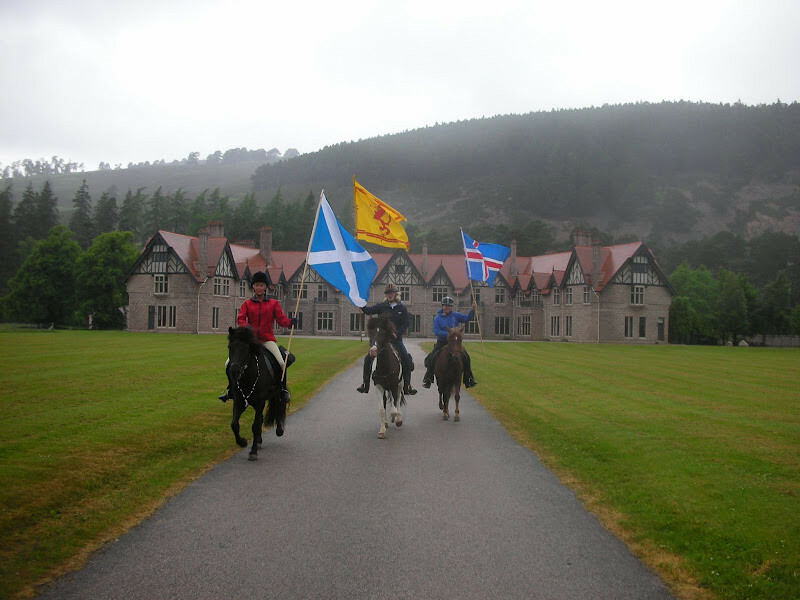 From the A93 Blairgowrie-Ballater main road turn off at Braemar. Signposted Village Centre-Heritage Centre/tourist information/Linn of Dee. Continue along the road over the bridge past the Fife Arms Hotel and Alldays on your right. Continue along the same road for approximately 3.5 miles until you see the white iron Victoria Bridge on your right, directly opposite small gatehouse on your left. Cross the bridge and go straight ahead at next junction just beyond bridge, sign posted Estate Office. 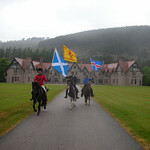 Office is located in Stable Block building in front of you, on left fork of road.